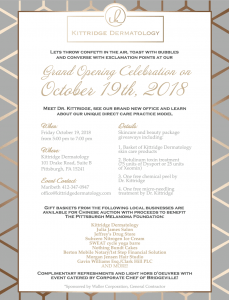 Let’s throw confetti in the air, toast with bubbles, and converse with exclamation points at our GRAND OPENING on October 19! All are welcome! Proceeds to benefit the @pghmelanomafoundation!